How cute is this pink beach chair? Created by Lithuanian designer Agota Rimsaite, the "Panama Banana Hammock" looks stylish and comfortable. You guys! This is real life. This is not a painting. This is an actual photograph. How spectacular! Thanks to Chelsea Kauai and Travis Burke Photography for capturing this drone photo of the Vermilion Cliffs in Arizona. Thanks to Design Milk Travels for sharing it with the world. If you described this table to someone, it may sound a bit too rainbow colorful. But they did such a beautiful job! The colors are bright enough to feel festive and cheerful without being an over the top kid's birthday party. I loved the colored glassware, the soft gold lanterns, and those stunning flowers. Well done! This may be my favorite florist. I love her style! I get the most compliments on my 2 largest pieces of art. One was painted by my dear friend Amber, one was painted by Thomas Saliot. Large scale art can really make the room. How much do you love this photo of Goldfish Kiss? This could be a cover of Vogue in the 70's. Love the golden tones, the messy hair, the lily she used like a hibiscus. 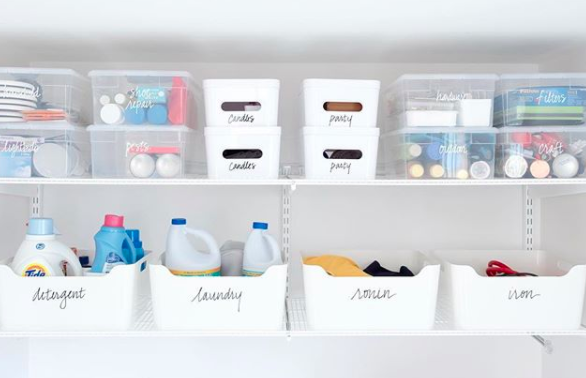 Fellow blogger Rebekah Steen is my sister's husband's sister and should be your summer resource. She blogs about all things beachy - fashion, hair, workouts, etc. Check out her blog before your summer vacation for some inspiration! Look at this luscious ruffled beauty! 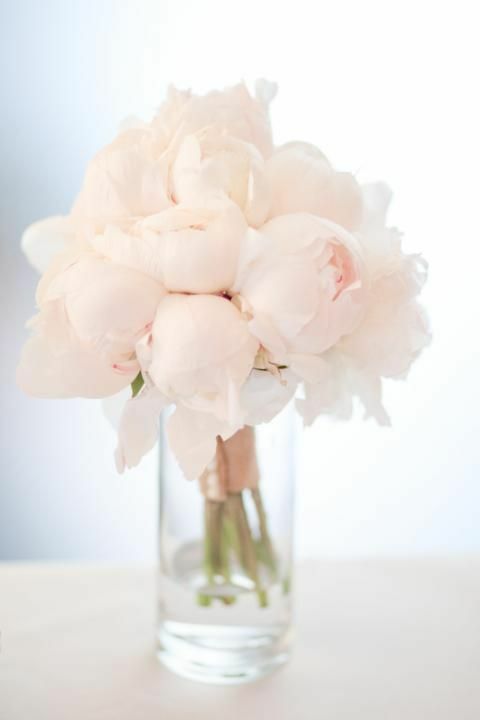 The loveliest light peach and perfectly puffy. It brightened my day. Stop and smell the roses. Marilyn Monroe, Elizabeth Taylor, Cleopatra, & Kate Sommerville just to name a few. Ladies - shave your face - everyone's doing it. 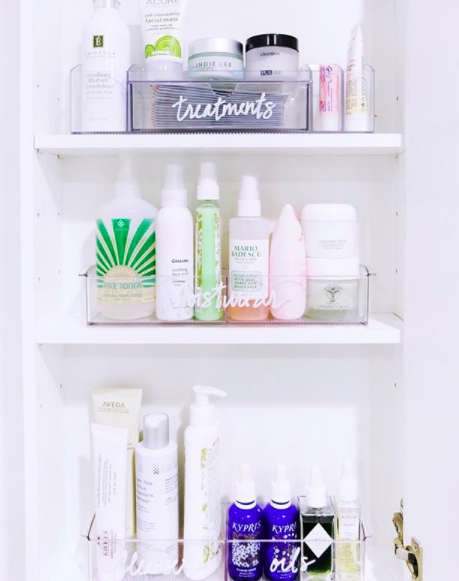 This beauty secret is popping up on blogs all over. 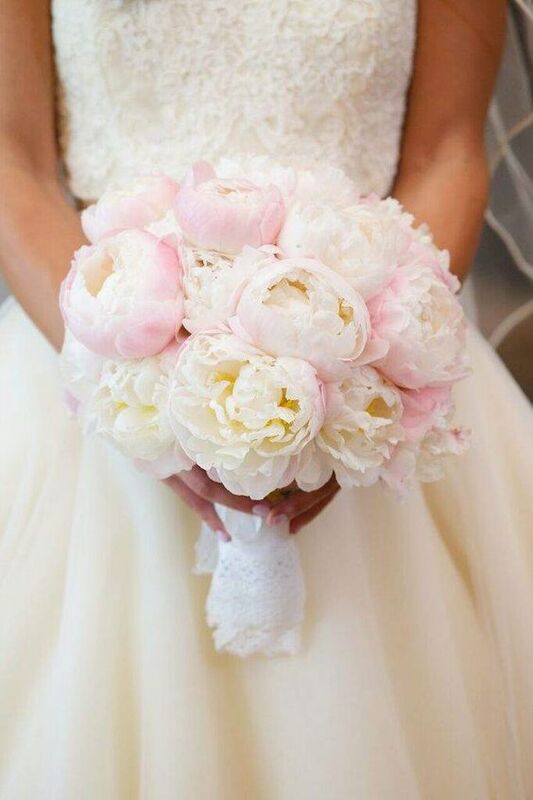 During my first conversation with the florist, I explained that I wanted peonies as my wedding flowers. 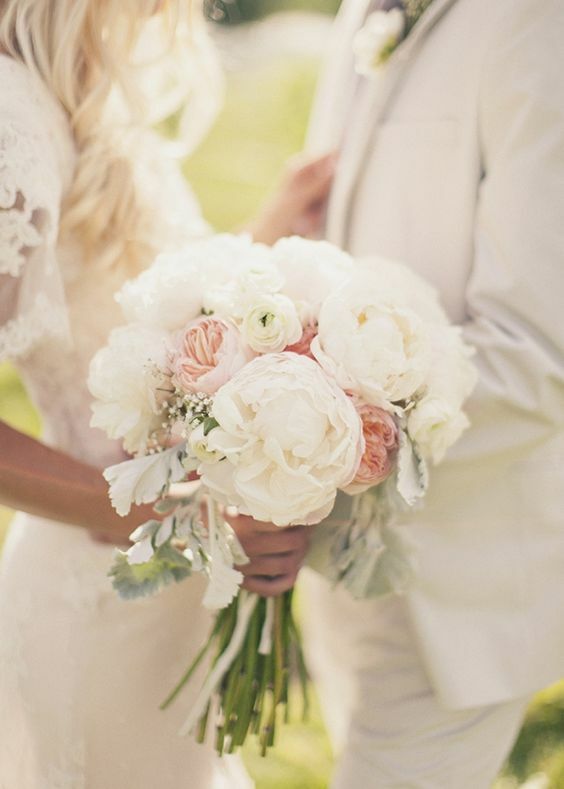 Soft colors with texture, like the bouquet above. I then learned that both peonies and aneomes were out of season in October....so I needed to go back to the drawing board. This ended up being a blessing as I love what we ended up with! 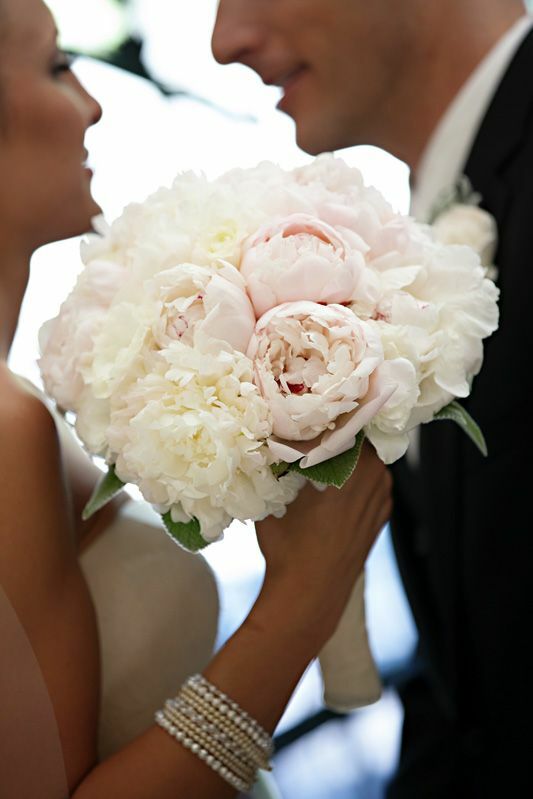 (Lesson-check out garden roses if you love peonies). 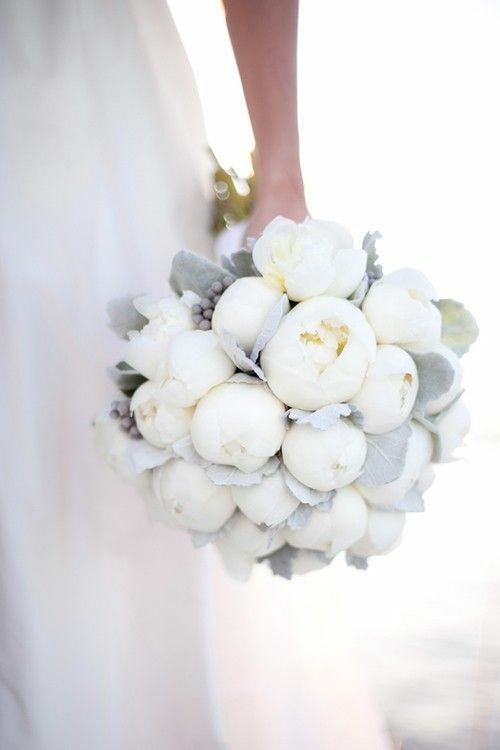 Below is some peony inspiration if they're in season for you. 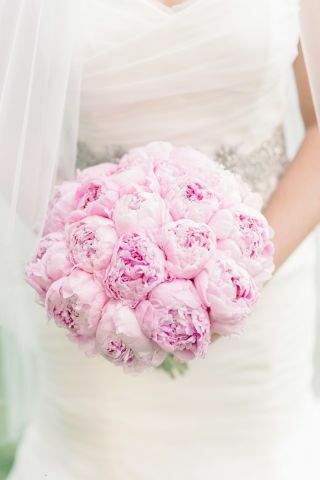 Peony season is of course Spring. April, May, and June. Everyone seems to be painting their walls white right now. Light walls and floor allow your other items to stand out. But....where do you start? 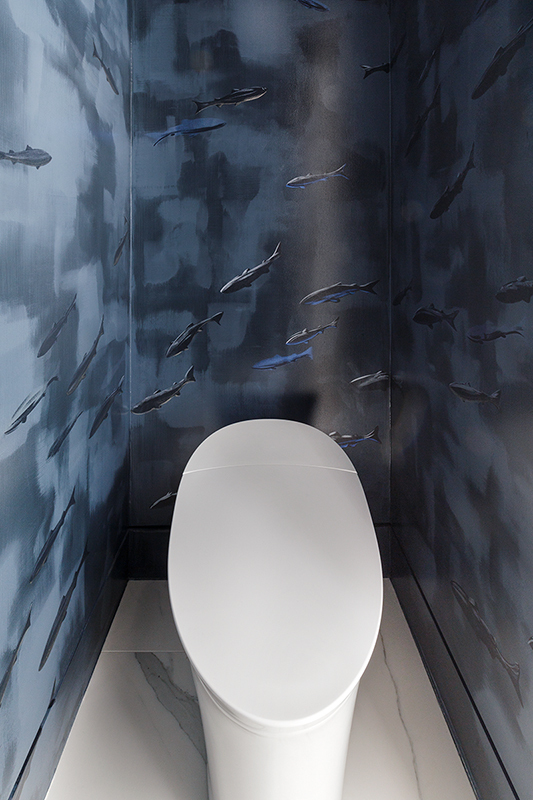 Remembering the elegant serene bathroom Mead Quin designed for last year's SF Decorator's Showcase. Excited to see her Living Room this year! SF Showcase opens this weekend and runs through May 28.